For all those film fanatics who are sick of the small screen, the 8X Smartphone Projector 2 is here to bring you a slice of home cinema magic. 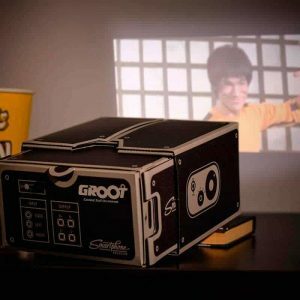 This fully functional projector makes it easy to enjoy the big screen experience – simply place your smartphone inside this fantastic projector, aim it at a suitable surface and marvel as it magnifies your movie. The internet boasts a wealth of hilarious viral videos, and pint-sized smartphone screens aren’t doing them justice – make sure you’re getting the full cinematic experience with this stylish smart phone projector. 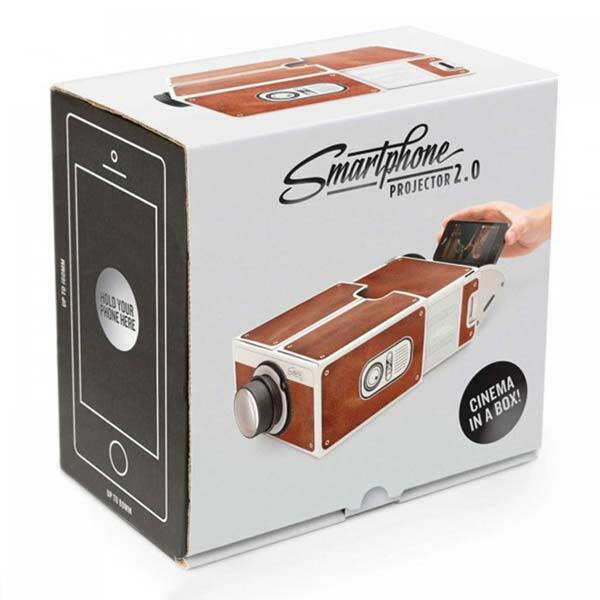 Designed to resemble a classic film projector, this DIY Smartphone Projector 2 is constructed from printed cardboard, cleverly decorated with stylishly retro camera detailing. Neatly packaged and ready to assemble, you’ll be just a few simple folds away from watching full-sized films on your bedroom wall. 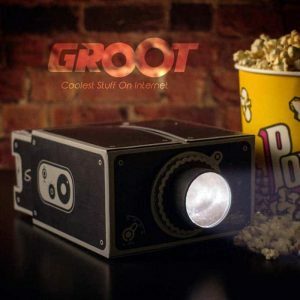 This projector utilizes a powerful glass lens, capable of magnifying your smartphone screen up to eight times its original size and allowing you to enjoy an impressive larger-than-life image. A silicon grip pad holds your smartphone and keeps it securely in place, preventing it from slipping about and spoiling your view with a shaky screen. Just try not to be the person who walks in front of the lens – nothing ruins movie night quite like a picture-blocking silhouette! 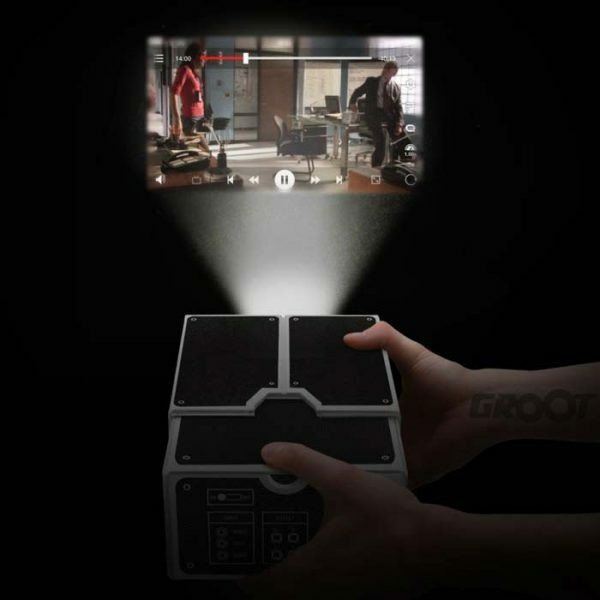 This 8X Smartphone Projector 2 is a must-have entertainment accessory for anyone with an extensive movie collection or an endless supply of cringingly funny fail videos. If your friends and relatives are tired of craning their necks to catch a glimpse of your latest online find, ease their aching muscles by blasting your films onto the big screen. This projector’s light cardboard construction and compact size makes it totally portable – take your magnified videos from room to room, bring it to a friend’s house for an epic movie night, or move it to the garden for an instant open-air cinema. 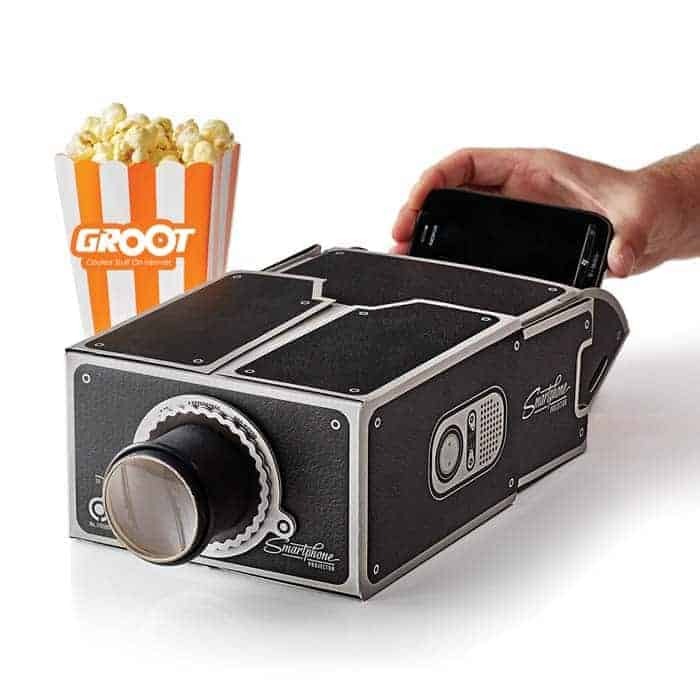 Pick your film, rustle up a bowl of popcorn, settle down on the sofa and enjoy the cinematic experience from the comfort of your own home with this Smartphone Projector. Compatible with iOS and Android compatible smart phones. Project your favorite film onto the wall from your smartphone. Light weight and compact size makes it portable and travel-friendly. 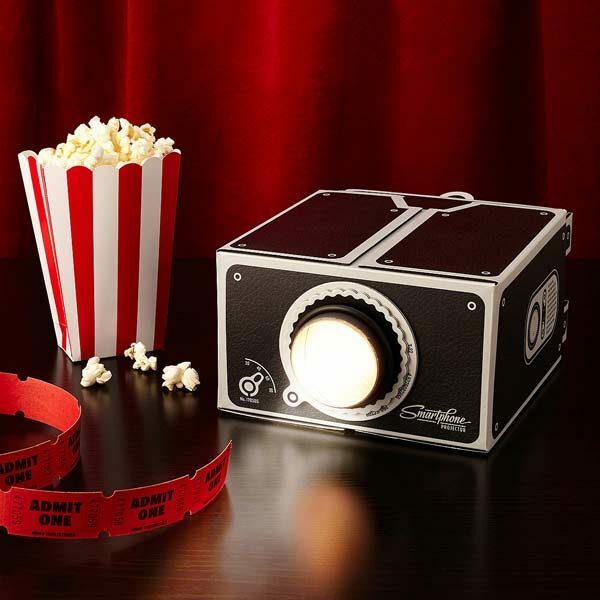 Put your hands down and your feet up and enjoy all the trimmings of the cinema experience in your very home. 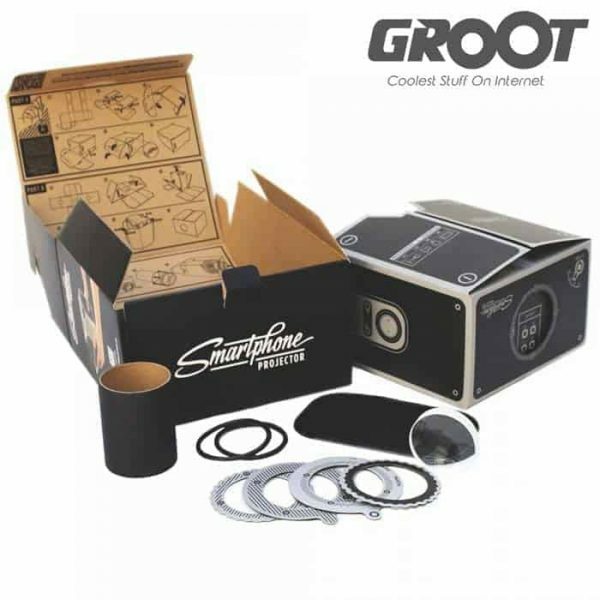 Very good product for the price. Its fun to watch movies on it with your mobile. Great product for the price. Works as described.